Homesteading is a way of living your life with the goal of being more self-sufficient. In Rhinelander, there is a Homesteading Club that meets at least once a month. Mackenzie Martin has the story. The origin of homesteading comes from the Homestead Act of 1862 where land was given to families in an effort to encourage western migration, but some say it stands in for more of a mindset today. 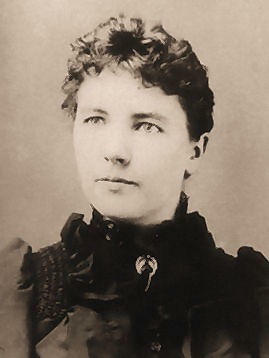 Laura Ingalls Wilder was an American writer known for the Little House on the Prairie series of children's books, published between 1932 and 1943, which were based on her childhood in a settler and pioneer family. Mike Haasl is the one who started the Homesteading Club in June of 2017 and they’ve been meeting at least once a month since. Though homesteading has a lot to do with self-sufficiency, the idea behind the club is to share resources and build a community for homesteaders in the Northwoods. In addition to the monthly meetings, they also try and have as many workshops as they can, things that are more hands on than their typical presentation. Haasl says in the 21st century, there are more resources than ever before, making homesteading a lot easier for beginners today. “We have power equipment, which is nice,” he says. “But then we’ve got the power of YouTube and the internet. You can learn anything you need to online. Back in the day, everyone knew it because their parents and grandparents told them and everyone in town knew how to do this stuff. Now very few people do but somebody out there somewhere in YouTube land does know and so we can learn from there and spread it amongst ourselves." 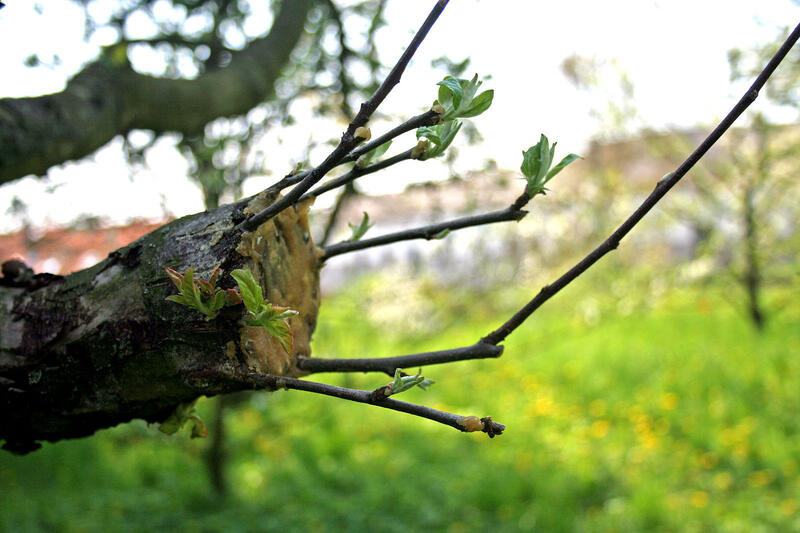 Grafting of apple tree, 2nd year. Haasl says they're building community and sharing resources among eachother. There’s a big mix of people in the club. Some are beginners at everything, others have mastered one thing and are looking to learn more. Some say they like heating their home with firewood to save money, while others say they keep chickens and make their own maple syrup because it keeps them busy and helps them stay active. "You can see something come from what you're doing," says Kim Singleton. "It's very satisfying." The Homesteading Club in Rhinelander meets on the second Thursday of the month at 6:00 p.m. There is no charge to be in the club and all meetings are completely open to the public. The next meeting of the homesteading club is on Thursday, December 13th, at 6:00 p.m. at the Oneida County Sheriff’s Office in Rhinelander. Jamie Cline from Trig’s Smokehouse will be presenting about sausage and meat preserving. This story is part of our We Live Up Here series, where we tell the stories of the people and culture of northern Wisconsin. The photo of the maple syrup operation above was taken by the WI DNR and can be found here. Music for this story came from Blue Dot Sessions: PolyCoat by Blue Dot Sessions (www.sessions.blue). They have just formed, and are looking for people from the Northwoods interested in homesteading. Mike Hassl of the Rhinelander area says he came up with the idea for the Northwoods Homesteading Club a few months ago and is president. "....I met an amazing number of people who had wonderful discussions about all kinds of homesteading topics and got 37 email addresses, so that started our mailing list and it began right there...."